She will pay a working visit. 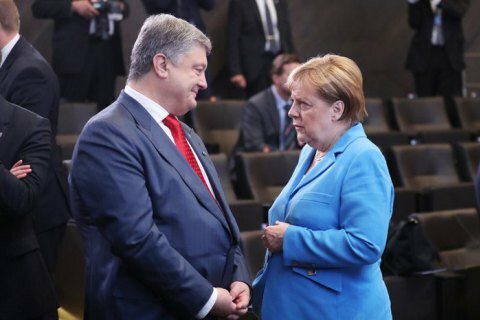 German Chancellor Angela Merkel will pay a working visit to Ukraine in early November, President Petro Poroshenko has said at a meeting with Ukraine's ambassadors in Kyiv. "This is a very indicative evidence of special attention from our German partners and development of a partnership with Kyiv," he said. Earlier, Merkel and US President Donald Trump discussed the situation in Ukraine over the phone. Ukraine's permanent representative at the UN, Volodymyr Yelchenko, said that Russia was in "unpleasant surprises" at the September session of the UN General Assembly in New York.